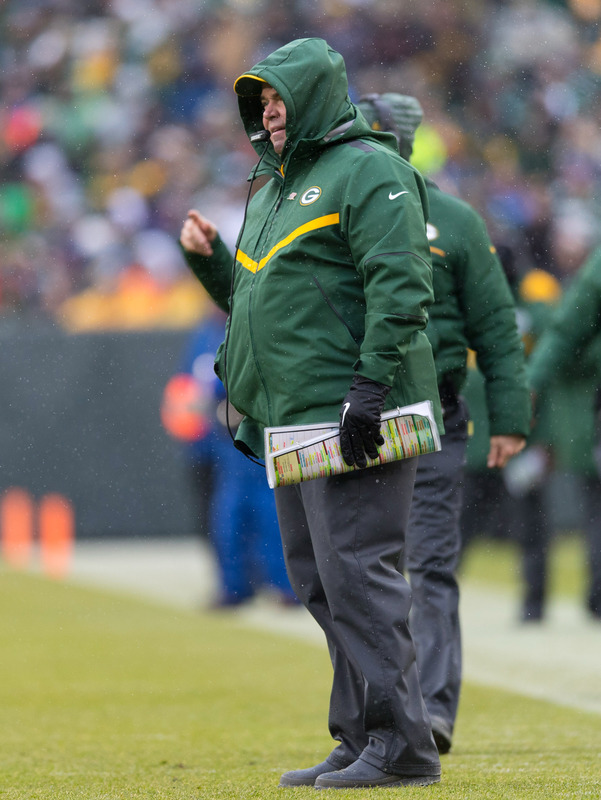 The Jets announced Saturday afternoon they completed their interview with Mike McCarthy. They and the Browns are the only known teams vying for McCarthy. But the Jets’ position in this pursuit has strengthened. McCarthy now has “serious interest” in the New York job, Ralph Vacchiano of SNY reports. The Jets still have additional candidates to interview, so no McCarthy offer is expected yet. However, such a proposal could be coming soon. Initially, McCarthy was connected to the Buccaneers’ and Cardinals’ jobs, with an obvious Cleveland path existing because of his past with John Dorsey. But Vacchiano notes the 13-year Packers leader has warmed up to the Jets and that he should be considered the favorite. He plans to stay relatively close to the area, with two high school-aged children, or sit out 2019 altogether. McCarthy has already completed his Browns interview, according to Vacchiano. Gang Green already interviewed Eric Bieniemy and Adam Gase and is scheduled to meet with Kris Richard, Jim Caldwell and Todd Monken. But none of these candidates brings the pedigree McCarthy does, his recent firing notwithstanding. I guess I can see the fit there but I really thought he was a lock for the Browns job. We will see what happens. I think McDaniels leaves NE this off season and takes the GB job or the Browns job if the Jets land McCarthy. I never considered him a lock for the Browns job. Just because of the Dorsey connection? Heck, that could mean Toub is a lock. Apparently McCarthy just really likes the color green. Yep, it’s a wardrobe thing. He can demand that all he wants but he ain’t getting that lol. He’s a winner. 125-77-2, won Super Bowl 2010 and led Green Bay to the playoffs nine times. His biggest criticism, is “didn’t win enough” with Rodgers, give me a break. If Jets hire him, finally, a good hire. They went 15-1, one and done. If that doesn’t scream underachieving nothing does. He’s not even close to Tomlin. That’s an insult. So the Jets will hire another former SB winning coach and hope this one lasts longer than Bill Parcells.